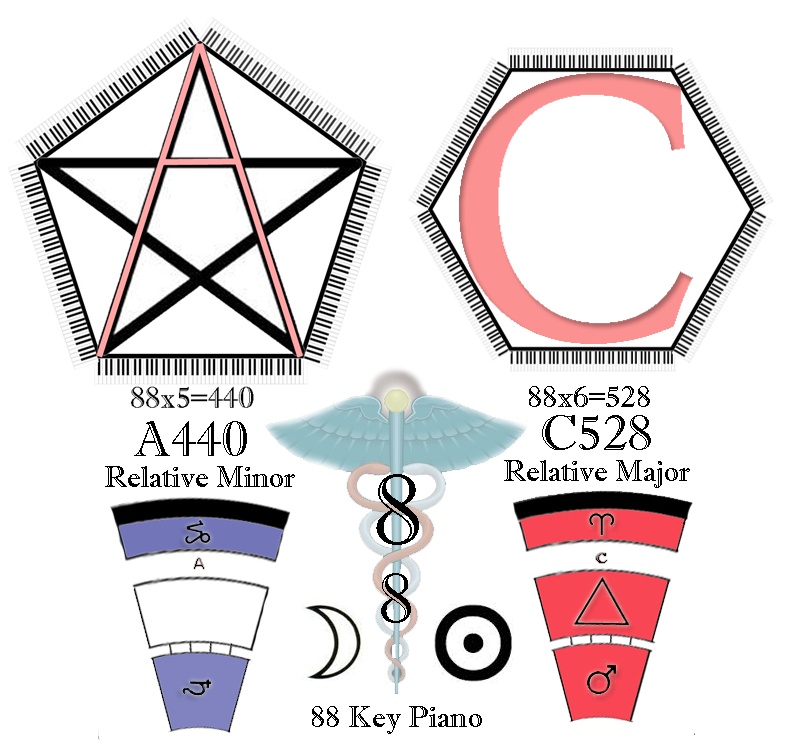 You are probably already familiar with the sound frequency A432 Hz and the story that goes along with it. New Age musicians and sound healers tend to regard it as a pure frequency, in contrast to the current international tuning standard A440 Hz. This tuning standard is shared by Western instruments around the world and as a result, most commercial music is oriented to 440 Hz. Almost a decade ago, when these ideas about “pure” and “impure” frequencies first came on to my radar, I began contemplating the numeric symbolism of these frequencies in greater depth. It occurred to me the number 440 was divisible by 5, producing the number 88. 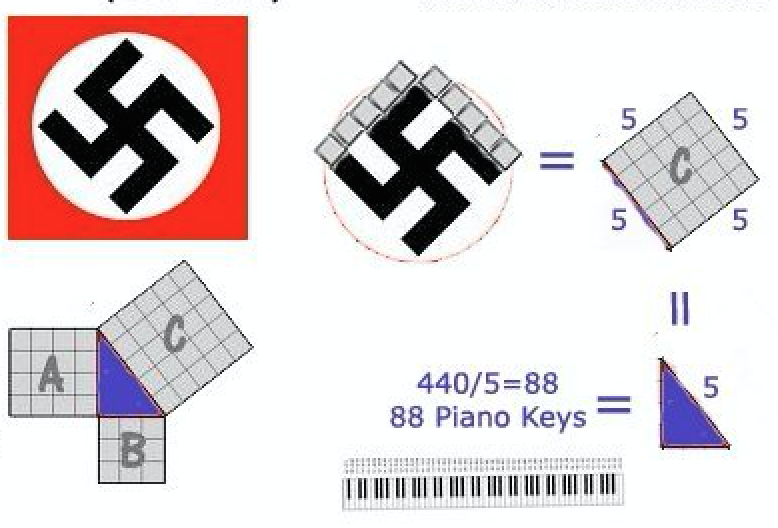 There are 88 keys on a piano. 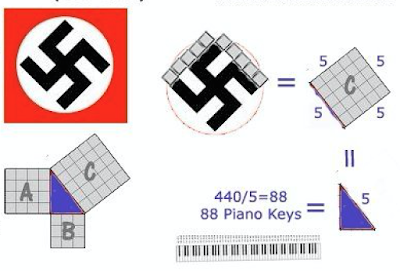 There are at least two separate camps in the New Age circuit battling over the purity of 432 Hz vs 528 Hz. In a way it resembles the religious conflict that took place between Protestants and Catholics during the 16th century reformation. Each religious group was convinced that their belief system was the best and that the other group was a bunch of frauds! As far as I’m concerned, this polarity only exists in Leonard Horwitz’s mind. I accept all sound frequencies as inherently meaningful, valuable, and life-supporting when used with good intent. That being said, I do have a preference for A 432 Hz and have developed a new theory that I will share with you here regarding why I continue to work with it for sound healing. This is an image of Phra Phrom, a Thai-Hindu depiction of the Buddha Brahma with four faces oriented toward the four directions. In this tradition, the whole universe is created moment by moment through the utterances of the Brahma. Notice that his left hand, closest to his left knee, is holding a prayer necklace. 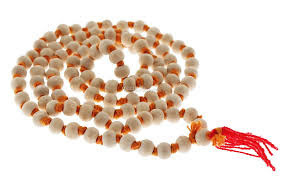 These rosaries are called malas and are used to recite prayers, or mantras. Buddhist practitioners pray with the mala and enter a flow state that puts them into direct contact with their image of God. The simplest prayer that exists in this tradition is the word OM, with “O” representing the emanation of Spirit and “M” representing the completion of that emanation. 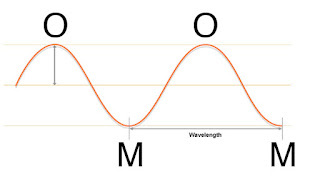 Consider the similarity between OM and a basic sound wavelength, which has a crest and a trough (high point and low point). As you can see in the images below, each wave corresponds to the circumference of one circle. 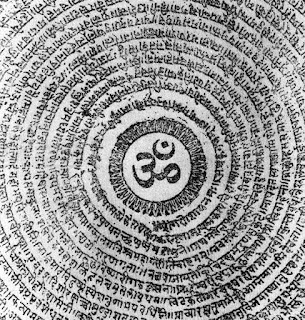 We are told in Hindu scripture that the word OM is symbol of a primordial vibration underlying all creation in the universe. Today we know that sound vibration is propagated through pressure waves, and that each pressure wave has a wavelength, as shown above. 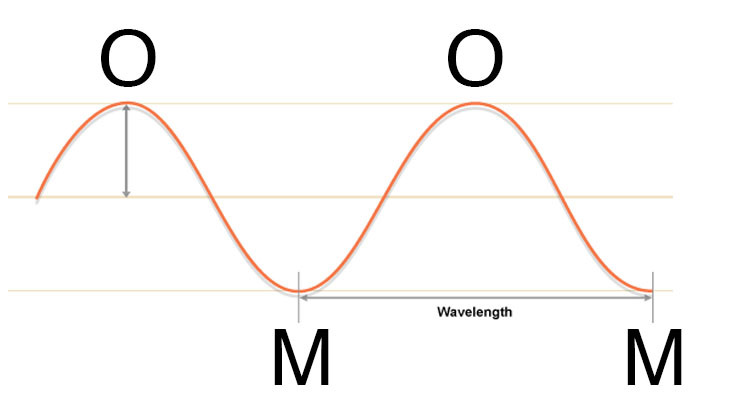 Mathematically, the duration of one wavelength is equal to one full rotation around the circumference of a circle. Imagine that these circles were beads on a mala and you will begin to get the idea. A recitation of the mantra OM can be assigned to each bead of the mala. There are 108 beads in total. When each of the four heads of Brahma recite one full round of the mala, they will have recited 432 mantras. Following this train of thought, each mantra represents a single wavelength. Wavelength is measured in Hz (cycles per second), so 432 waves compressed into a single second would produce 432 Hz. 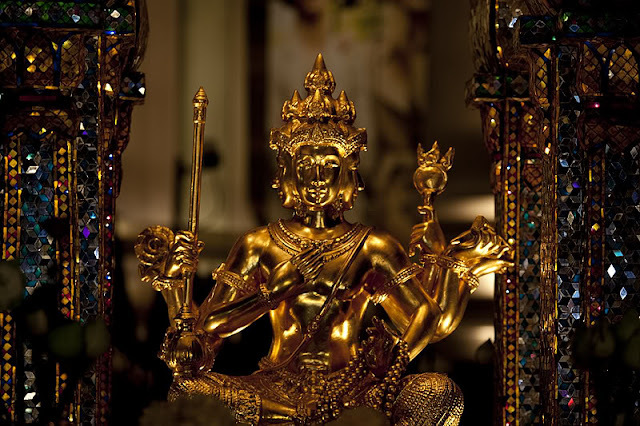 If the four-faced deity Phra Phrom (brahma) were to chant 108 OMs in each direction, one right after the other, so that the full duration of all 432 OMs had a one second duration, then the deity would be singing at 432 Hz. So in conclusion, I’m not going to hate on 528 hz or any other frequency, but I want to hear 432 Hz because it’s slightly tuned down from 440 (more relaxed) and because it reminds me of Thai Buddhist meditations.